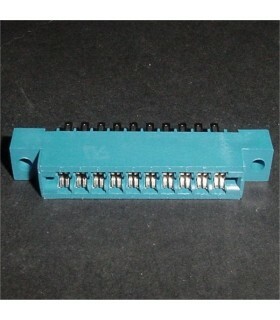 Edge Connectors There are 10 products. 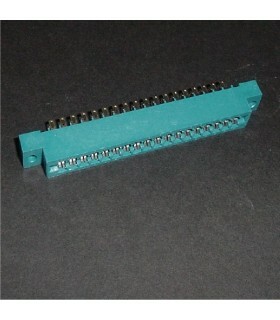 10/20 Pin Edge Connector SEC This size connector is commonly used on Atari games and others as well. 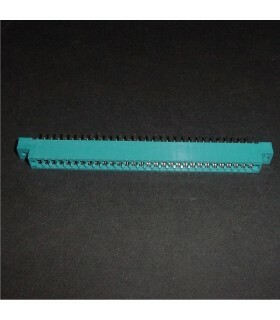 18/36 Pin Edge Connector SEC This size connector is commonly used on many games such as Konami and a lot of bootleg boards. 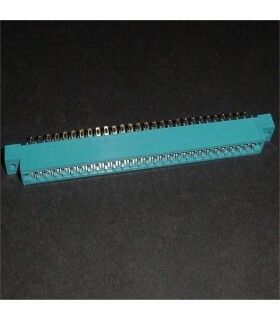 22/44 Pin Solder Tail Edge Connector This is the most common size edge connector found in arcade games other than Jamma. *Picture for reference only. 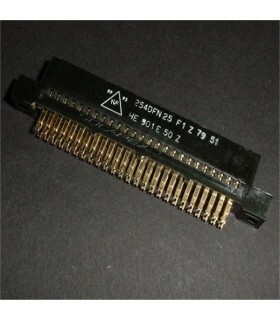 36 / 72 Pin Solder Tail Edge Connector .156" Pitch gold plated contacts. 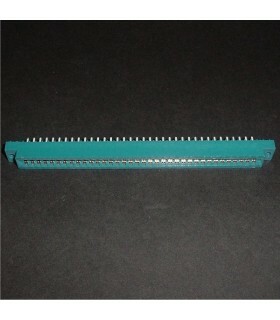 .200" Row Spacing Used on Midway Omega Race pcb and Space Invaders deluxe. *Note, standard space invaders used a narrow row spacing. This connector fits SI Deluxe, not Space Invaders. Check row spacing before ordering. 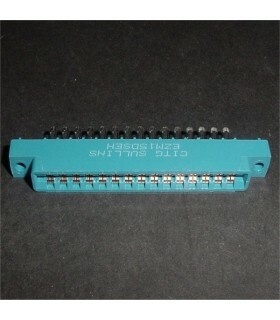 50/100 Solder Tail edge connector PCB mounted, used on games such as professor pacman, gorf, wizard of wor and other midway card rack boards. 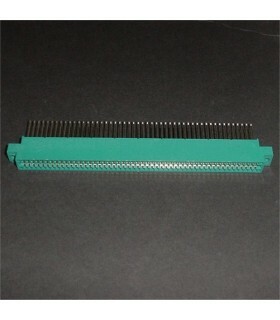 *Note: the ram card on most of these games are narrow so you would have to cut down these edge connector for those two boards. 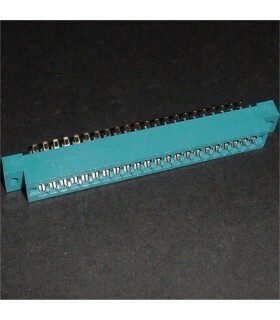 High quality connector with gold pins. Very hard to find these, limited qty available.